Bathroom selfies are old news. Post-workout selfies are for the birds. The selfie stick and selfie arm might want to move over. We may be a little obsessed with selfies, but may just be time to take our selfie game to a whole new ascpect ratio. Panoselfies are next-level selfies that will likely start filling your Twitter and Facebook timelines soon (as they have mine), as taking a normal selfie starts to seem so yesterday. What is a panoselfie you may ask? While normal selfies seem to just feature your face (or a couple of faces), panoselfies takes selfies further by including your environment and others that may be with you. There’s even a Twitter hashtag too. Panoselfies can be created on just about any phone or device that has a panoramic feature, such as an iPhone and Android. 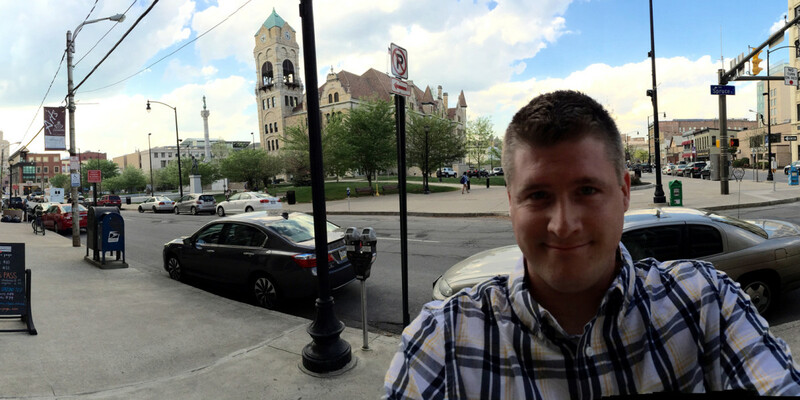 Colin Devroe wrote a great post on what a panoselfie is and how to take one. The downside is that most phones only allow this feature through the back-facing camera, meaning you can’t see what you’ve shot until the panoramic is done (think of it much like a Polaroid camera effect). This can lead to some incredible panoselfies, or some pretty terrible ones. For some really good panoselfie examples, there is a Flickr group you can browse through to see. For bad ones, there is a Tumblr blog that showcases panoselfies gone wrong. If you can’t get the hang of using the back facing camera for the panoselfie, there is an iPhone app and an Android app that allows you to use your front-facing camera in order to take the panoselfie. Admittingly it will take you some time to figure out how to do it exactly to get the outcome you want, so I advise practicing a bit before you decide to use it in a moment that you may not be able to recreate. But think of all the possibilities and amazing shots you can get! So will this become the new way to take a selfie, or just a passing fad?